Citizens become the environmental researchers and change agents for more ecologically healthy neighborhoods and communities. If you want to change the quality of life in your city, you have to get people involved. The good folks at Ecocity Builders refer to this effort as “empowering ordinary citizens to claim a stake in their city’s future.” And one of the ways they make this happen is through their Ecocitizen World Map Project. This project teaches community members basic GIS data collection methods and helps coordinate on-the-ground activities where community members focus on specific issues, such as water quality, access to services, clean air, and safe and affordable housing. Information is gathered and made part of interactive maps for everyone to see and use. 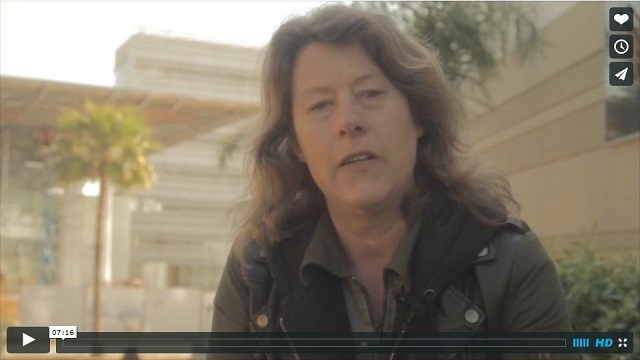 A conversation with Ecocity Builders’ Executive Director outside Mundiapolis University in Casablanca about the team’s initial experiences with citizen surveys in the first pilot cities and where the project will go from here. Get introduced to the Ecocitizen World Map Project team in this video and check out the Ecocitizen Maps for these pilot cities: Casablanca, Cairo, and Medellin. Ecocitizen World Map Project pilot project for Casablanca. What’s inspiring about the Ecocitizen World Map Project is that people who live and work in these cities provide the raw data via surveys. They become the environmental researchers and change agents for more ecologically healthy neighborhoods and communities. They use the technologies of crowdsourcing and crowd mapping to calculate the ecological footprint of a typical neighborhood and they do this to reduce negative impacts on their environment, improve consumption efficiencies, and make people aware of environmental preservation opportunities. See the case study: Ecocitizen World Map Project in Imbaba, Cairo. Ecocitizen World Map Project pilot project for Medellin. The practice of community engagement is meant to bring a more realistic alignment of goals and understanding of the problems between those with decision-making power and those whose voice often goes unheard. The Ecocitizen World Map Project places people from both ends of the spectrum on the same level and allows them to not only share the vision of a healthier and more equitable urban environment but to be a part of the impetus for solving problems.